In my last post I shared about our eventful January. During this busy January I have had to find some fun and easy activities to recharge with in between my fun but busy days. My daughter inspired me to try out my latest activity. A few months back my daughter found some really cute coloring books and set them next to her computer to work on during study breaks. She would set her college books aside, and turn on a fun video and color. It struck me as a fun and great way to chill out. So a couple of weeks back I ordered some color books that looked like a lot of fun. I chose Hipster and Dapper Animals coloring books. Both of these coloring books are really nice, the paper is high quality and are working well with my gel pens and crayons. 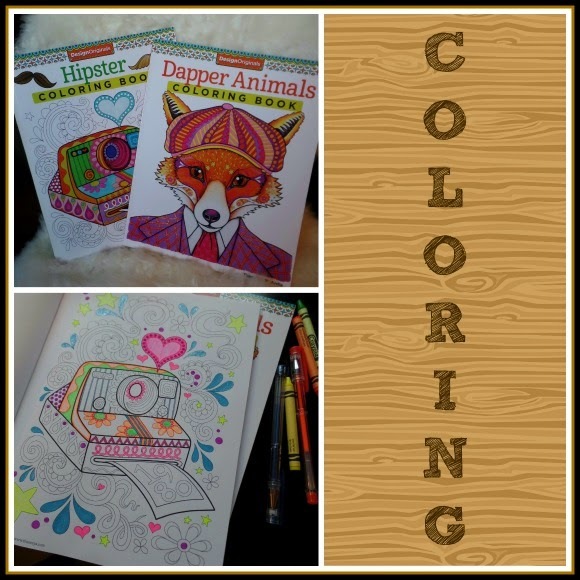 The Hipster Coloring Book is full of retro funky pictures, and the Dapper Animals are fun, smartly dressed animals to color. Both color books come with pages of design and art instruction as well as really interesting quotes to ponder while you are coloring. I have kept them out on my table with pens and crayons so I can color when the mood strikes, or when I need a little time to chill out. Definitely a new favorite activity, Amazon has a wonderful selection of really interesting coloring books, check out the link in my side bar. Since I knew these coloring books would have some smaller designs to color in, I decided to buy some gel pens. It is crazy that I had never really tried out gel pens besides a few random ones here and there over the years. I bought a set of 48 Fiskars gel pens after reading the reviews on Amazon, and I am so happy with these pens, they work a lot better than I thought. 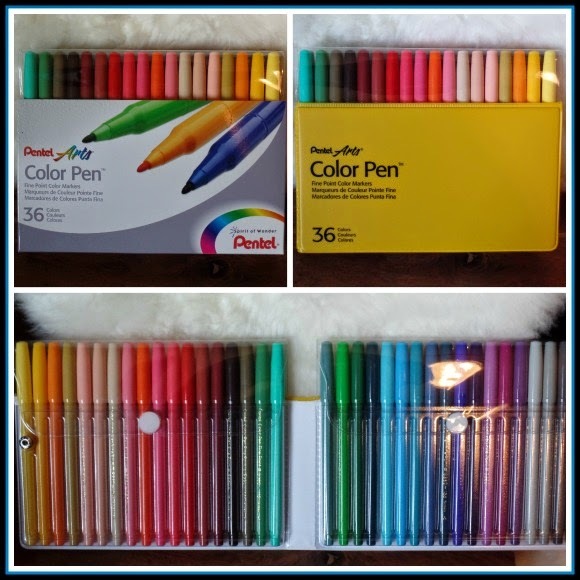 I plan on buying a bigger set down the road, very fun to write and color with, and I am sure I will be using these for other crafts as well. 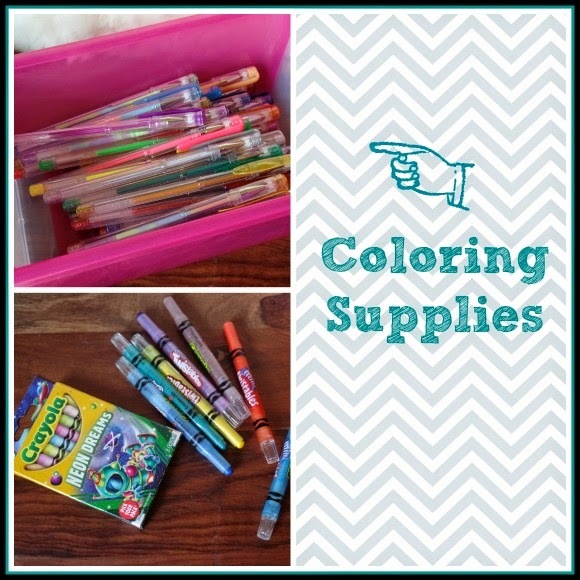 I also picked up some Neon Crayolas and have my favorite twistables crayons to use as well. 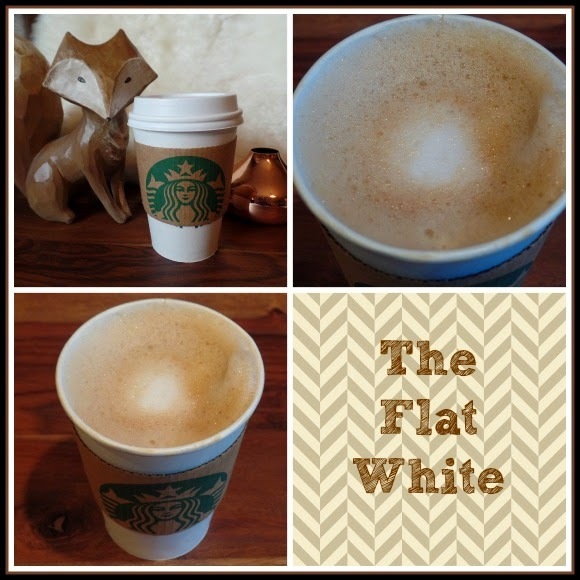 In addition to my new fun activity, I have found a new favorite beverage - Starbucks new Flat White. First, congratulations on becoming an aunt! Those coloring books look really cute. I love the fox one. We are enamored with foxes here, since we discovered that one is living in our back yard. It was quite a shock the first time we spotted him resting under the apple tree, but now we are getting used to him. That sounds like a great coffee concoction. My objection to coffee is that it is bitter, so this looks like it would be right up my alley. I have to smile! I have recently started colouring in too! There are so many great adult colouring books out there now it is great! It is super relaxing and such fun to do. I have had a few problems, though, in that the paper on some books is not suitable for wet colouring, and some not sturdy to take pencil either. I stamp, so I colour those in by hand now on good, water colour quality paper.